When I was about 16 I decided that I was going to get really serious about skincare and make it my mission to age gracefully. I always wash my face before bed, and I was the little weirdo who applied moisturizer and eye cream at sleepovers, at college, and even if I'd been out late and just wanted to collapse into my bed. The area where long term skincare goals are the hardest to justify for me is eye cream. I'm totally on the fence about eye cream - is it necessary? If it is, what makes a good eye cream? I was an eye cream user for a long time, and then I took a break because I just didn't think it was making a difference. Then my eye area got very, very dry, and a bit dark and puffy, and I thought, "Dammit, maybe those expensive pots of moisturizer really are working." The one eye cream that I found to be really effective in all my trials is Algenist Complete Eye Renewal Balm. It's also $68 for 0.5oz. That's just not feasible for me, especially when you consider that my undereyes look fine, I'm just trying to keep it right and tight for the next 50 years. 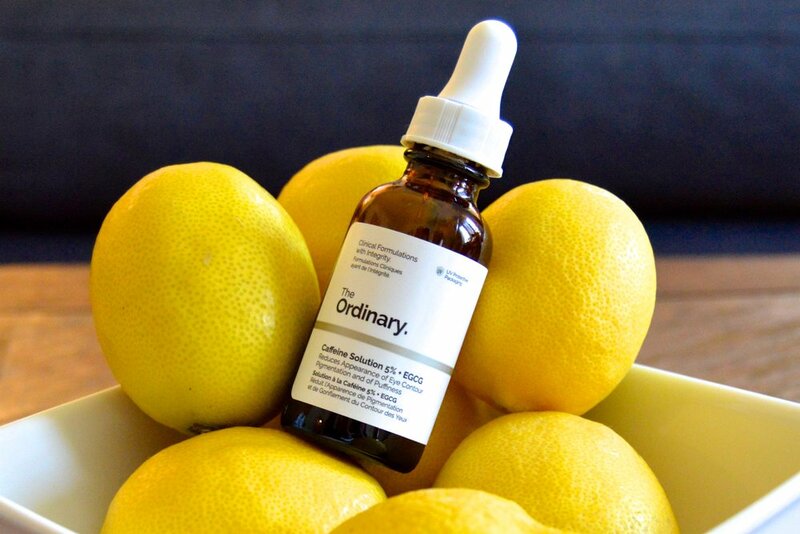 Then I found out that uber affordable, trendy skincare brand The Ordinary had an undereye serum that retailed for a whopping $6.70, and I couldn't get my skincare loving paws on it fast enough. There are a few outlets in the US where you can buy The Ordinary, but I purchased the Caffeine Solution 5% + EGCG and the Hyaluronic Acid 2% + B5 ($6.80) from Sephora (currently online only, and frequently out of stock). I had no idea if this would work, or if I'd like it, but for just under $7 why not give it a shot? Not only does this caffeine solution work - it's so easy to swipe under your eyes that I actually use it twice a day without fail. As someone who gets incensed when eye creams are labeled with "keep away from eye area," I'd like to add that I've managed to get this serum on my literal eyeball, and while it stings a bit on initial contact, it's not bad at all. I've even gotten it in my eye while I've been wearing my contacts, and it was perfectly ok. You can get this right up IN your eye area, as God intended. This serum is so affordable that it'd be perfectly acceptable if you needed to buy it every month, but because you only need a drop or two for each application it lasts forever. I've had this little bottle for at least two months and I'm maybe a third of the way through it. I apply a drop or two to a ring finger, rub my other ring finger on it to spread the product, then lightly sweep my two fingers under my eyes. The product will go on a little wet, and I just let it dry for about a minute. Voila! So easy! My puffiness has definitely gone down, and I never had severe dark circles, but my undereye area is brighter and concealer applies easier. All for $7! Note: The Ordinary has some issues, and you may consider it too controversh for your taste. Here is an article explaining what's up, and here's a follow up.